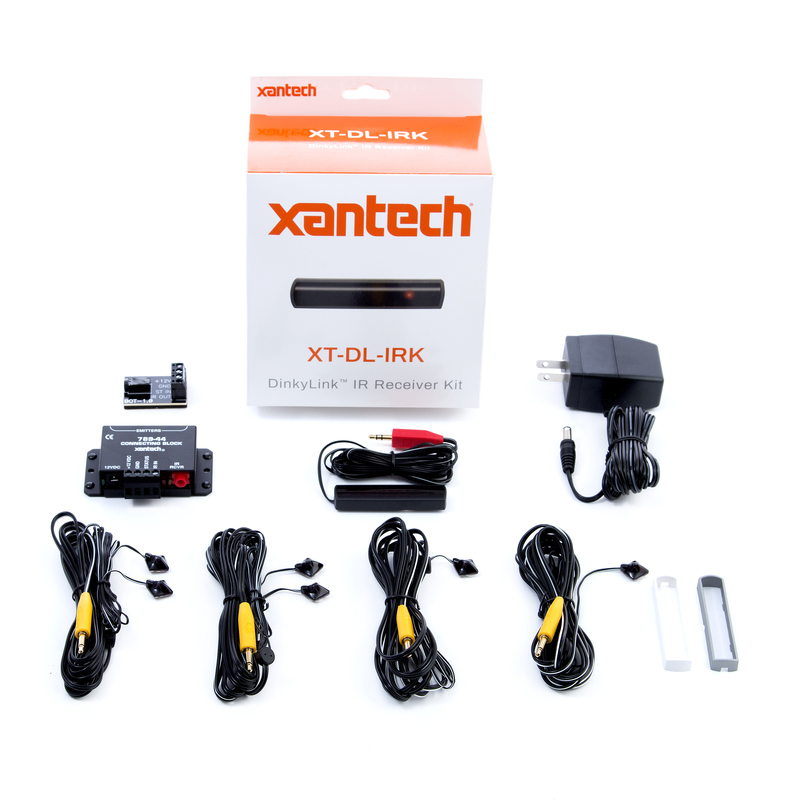 The XT-DL-IRK is a surface-mount design and standard range (up to 80 feet) IR receiver that makes your installs easier and cleaner than ever before. 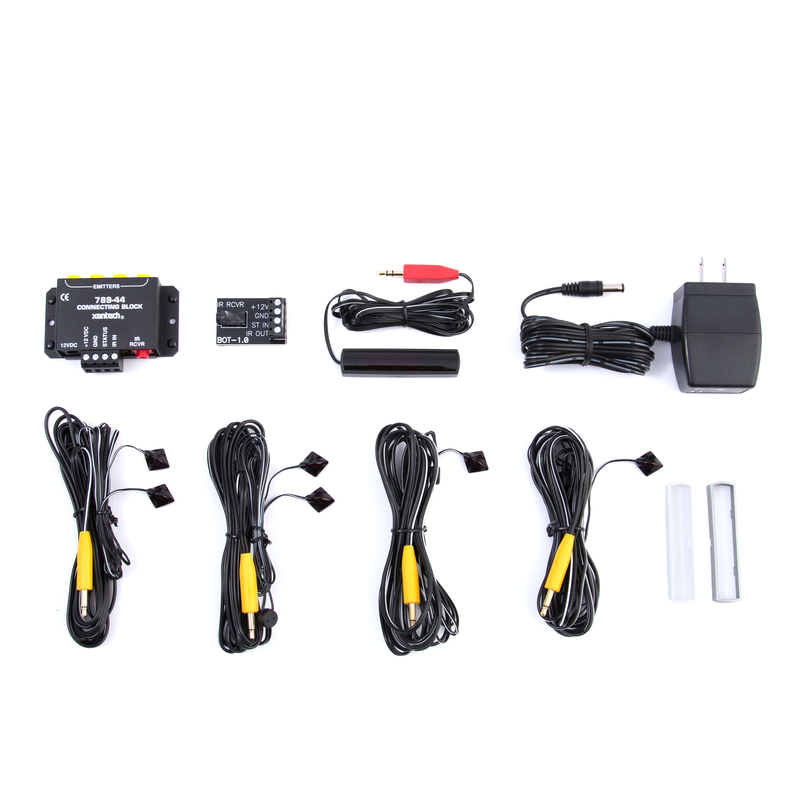 This kit includes two single and two dual Blink IR™ designer emitters to control up to six devices without needing to purchase additional emitters. It also includes the BOT 1.0 Break Out Terminal, which allows you to extend the IR receiver up to 5000 feet without cutting the IR receiver wires. It works with LED, LCD and Plasma TV’s and around CFL lighting. For use with all types of cable boxes, satellite boxes, remote controls and TVs. A white, silver & black trim kit is included to match any AV system. This kit falls under the Xantech Exclusive category which ensures you won’t get shopped. 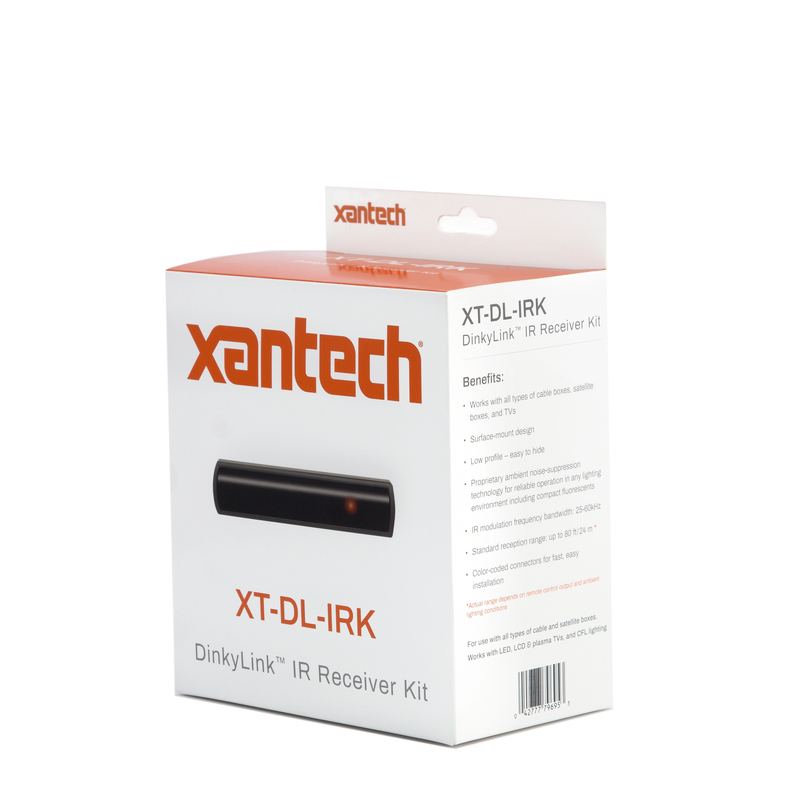 The XT-DL-IRK is only sold directly to Xantech-authorized dealers.